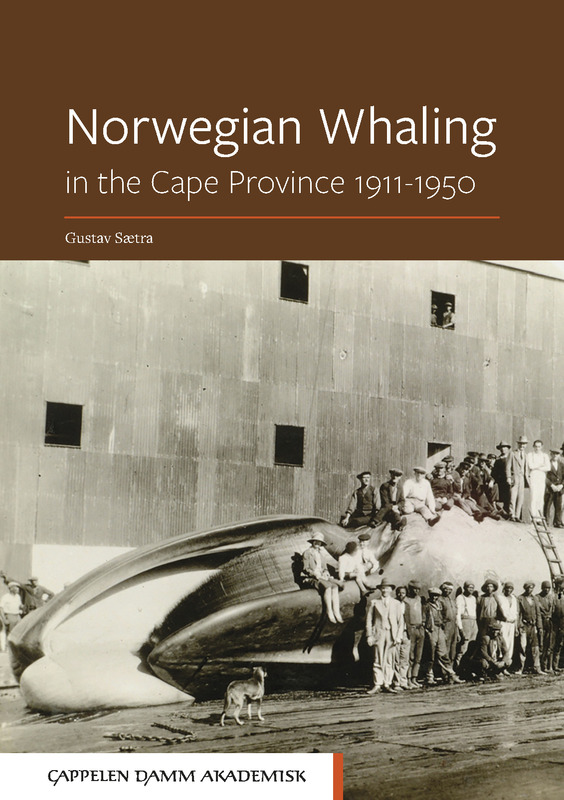 This book deals with Norwegian whaling in the Cape Province, South Africa, in the period 1911–1950, with particular emphasis on the Salamander Whaling Station. Why would Norwegians invest in whaling stations in Africa, and why did they do it during the first decades of the 20th century? The questions might also be asked from an African perspective: why were the British colonial authorities interested in having Norwegian whaling companies establish themselves on African territory? These questions have already been partly answered by existing studies on Norwegian whaling in the region, but the present study seeks to provide a more complete picture by making use of source material that has hitherto been largely neglected by scholars. In the early 1900s Norwegians were the world’s leading whalers. They achieved this supremacy because they were innovative and because they had the necessary experience, know-how and access to capital. The «father of modern whaling», Svend Foyn, from the county of Vestfold to the south of Oslo, was the great innovator. In the 1860s he invented the explosive harpoon. In addition, he used rapid whalers or catchers – steam-driven vessels – which made it possible to pursue the fast-moving blue whales and fin whales, and to hunt them and kill them in such numbers that whaling became far more profitable. This was the beginning of «modern whaling», and in northern waters Norwegians built up a whaling fleet which was to put them at the forefront of the whaling industry for many years. Gustav Sætra (f. 1953) er førsteamanuensis i historie ved Universitetet i Agder.